It is finished!! The Dove in the Window is complete and only a couple of days over the deadline. This was a huge quilt 86x108 and it was very hard to get a picture. Now I just have to quilt it! 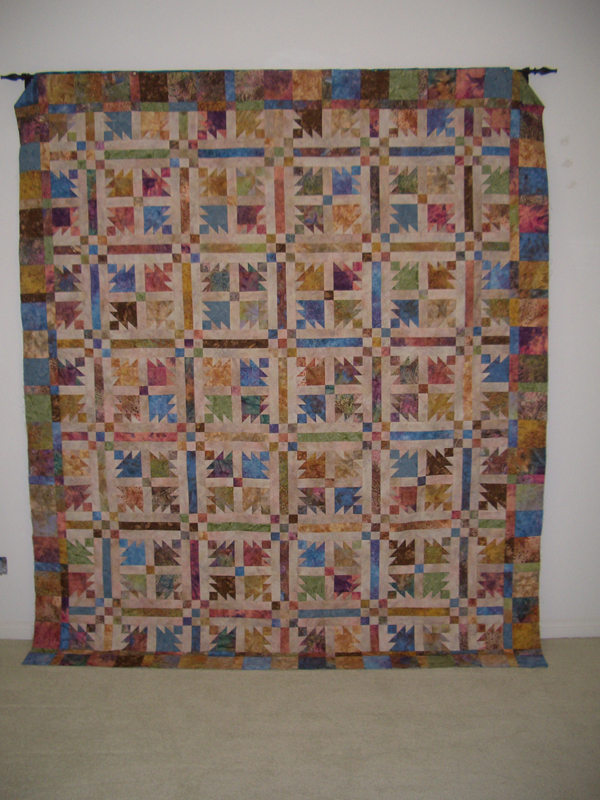 Check out all the other finished projects at Patchwork Times. Looks great! Congratulations on your finish--it's a big project! Kerry, that's beautiful. The soft colors are truly dove-like. This is a gorgeous quilt! Love the pattern and the colors. Very nice work!! This one will be good for that "Fantastic" quilting stitch.